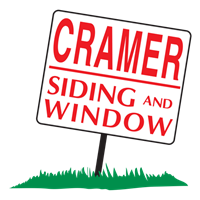 Category... Financial ServicesMarketing Employer... Cramer Siding & Window Co.Midstate Collection Solutions, Inc.
Are you interested in joining a team of highly motivated professionals in the financial services industry? Great news! We are excited to announce openings of full-time administrative positions within our company. We are seeking reliable, innovative, and energetic individuals to join our growing company. As a new employee, you will complete a three-week Boot Camp training, where you will learn the basic fundamentals to set you for success. Exceptional on-going training is provided throughout your employment.